Professor Walter W Focke obtained Bachelor and Master’s degrees in Chemical Engineering at the University of Pretoria and a PhD in Polymer Science and Engineering from MIT. He is a full Professor in the Department of Chemical Engineering and Director of the Institute of Applied Materials. He teaches Materials Science and Engineering as well as Phase Equilibrium Thermodynamics at undergraduate level and Polymer Processing and Polymer Additive Technology at postgraduate level. 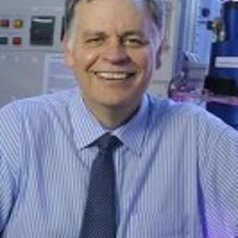 Professor Focke is a registered Professional Engineer, a member of the American Chemical Society, the Polymer Processing Society, the International Pyrotechnics Society and the South African Institute of Chemical Engineers. His core research is in chemical product design with emphasis on carbon materials, polymer additive technology, pyrotechnics and malaria vector control. Various thermal analysis techniques are employed to characterise and control oxidative processes in pyrotechnics, biodiesel and materials such as polymers and graphite. According to Scopus, Walter Focke has published more than 144 papers in peer-reviewed journals that have been cited more than 2384 times with a Scopus h-Index of 18. Walter is a member of the editorial boards of the Journal of Vinyl and Additive Technology,International Journal of Adhesion & Adhesives and International Polymer Processing.